Kaleidoscope Music Studio - Get Involved. Make Friends. Enjoy Motherhood. 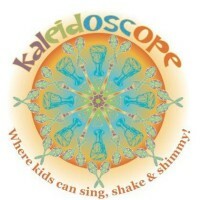 Kaleidoscope Kids Music, Where Kids Ages 0-5 Sing, Shake & Shimmy playing REAL Instruments including violin, ukulele, mandolin, banjo, guitar, keyboard, piano, harmonica, recorder, tambourines, shakers, triangles, drums & more!